Any retailer who wants to do right by the Fair and Accurate Credit Transactions Act should omit certain information from its receipts. For example, the expiration date of the customer’s credit card is something that should always be left off. In fact, consumers have filed many class action lawsuits over such acts. One of the latest is a case called Flaum v. Doctor’s Associates, Inc. 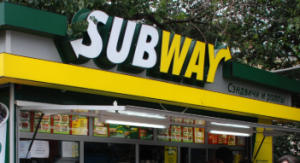 The case originated over allegations that certain Subway stores printed receptions showing the expiration date of credit cards. Consequently, eligible Class Members can now file for their share of the settlement at the online filing page. Once at the page the Class Member must click the File a Claim button to get started with online filing. Class Members who prefer to file by mail must make sure the correspondence is postmarked no later than January 22nd deadline. Additionally, all mailed claim forms must be sent directly to the Settlement Administrator. In addition to claims, the Settlement Administrator also collects exclusion requests. Class Members with questions about the settlement can try looking through the FAQs found within the notice. In addition to the notice, Class Members can also find the FAQs at the online filing page. Although, those who don’t feel like reading can always reach out to the Settlement Administrator with questions.